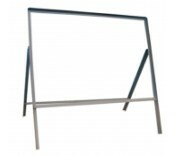 Ideal for road construction crews who need to quickly and efficiently implement temporary road signs, the road sign frames range from Manchester Safety Services are available in a number of sizes and shapes. 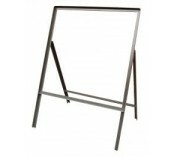 The versatile range of frames can help accommodate a selection of different tasks and requirements to legal standards. 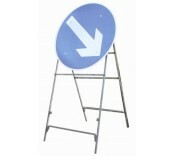 The road sign frames can help the road construction crews safely complete their work whilst helping to manage the flow of traffic. Whilst no one likes diversion signs and temporary roadworks – these frames can help protect the welfare of the crew, drivers and pedestrians. All of the frames have been designed to meet legal requirements on UK roads, and have been produced by trusted manufacturers – ensuring they offer prolonged and effective use. 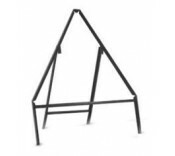 If you have any questions or require any assistance regarding the products in the road sign frames range from Manchester Safety Services, please call our dedicated team on 01706 364943.